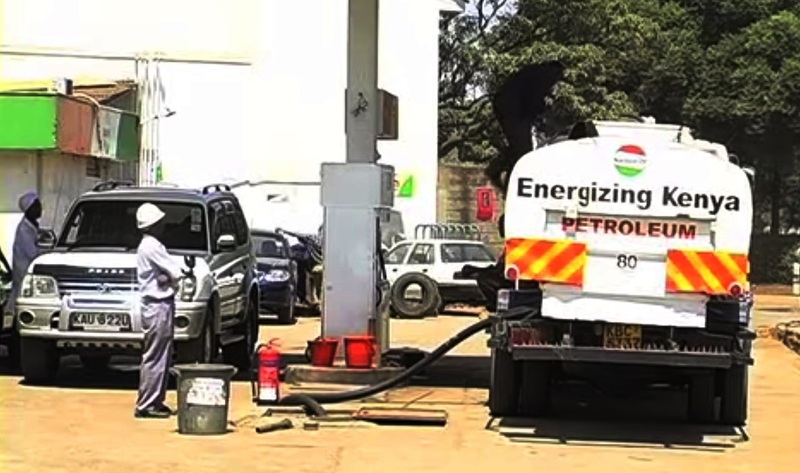 Kenya could be an oil exporting country as early as next year, as it races ahead of Uganda, which discovered the resource about nine years ago. UK-based oil and gas exploration firm, Tullow, is pressing on with plans to start producing oil in Lokichar despite the substantial drop in crude oil prices that has had many analysts poor cold water on Kenya’s oil discovery. The firm could start oil production by end of next year, which is sooner than earlier date of 2018 when the firm was largely expected to start production. This will see Kenya join the elite club of oil exporters, a big boost for the country. Kenya is a net importer of oil and has always borne the blunt of spikes in oil prices blamed for sustained high prices of essential commodities as well as a weak local currency. Tullow has said it expects a pipeline to be in place by end of next year, to pave way for commercial production and crude oil export. Contained in its latest financial report, Tullow says commercial oil production in Kenya could result in around 100,000 barrels of oil per day (bopd). This is about $5 million a day on the current pricing of $50 per barrel of crude oil. Kenya could make about $1.825 billion or Sh166 billion annually at the minimum. Tullow, which has had wild success in exploration in Kenya, has in the past estimated that there are about a billion barrels of oil in the Southern Lokichar area. The estimates are based on wells the firm has so far drilled in the region, but expects the quantities to go up as it continues drilling as well as doing further tests on previously drilled wells. The plans to go ahead with oil production are also on the back of what the firm said was a substantial reduction in exploration budget for the country. The firm says Kenya and Uganda have agreed to a pipeline that will transport crude oil from Lake Albert Rift Basin in Uganda to either Mombasa port or Lamu. “In Kenya, development studies have commenced which could result in production of around 100,000 bopd gross. The joint venture partnerships in both countries (Kenya and Uganda) are aiming to reach project sanction, which includes a regional export pipeline, by the end of 2016,” said Tullow in its full year results for 2014 released last week. “The current ambition is to reach project sanction for development of the South Lokichar and Lake Albert resources, including an export pipeline, by the end of 2016.” The governments of Kenya and Uganda have signed a Memorandum of Understanding and formed a Steering Committee to progress a regional crude oil export pipeline from Uganda through Kenya. Tullow added that upstream players in Kenya and Uganda had signed a cooperation agreement supporting the planned start of commercial production and have completed significant pipeline studies to define the pipeline route options and the technical specifications. Energy Cabinet Secretary Davis Chirchir confirmed that Toyota Tshusho had completed a study, which paves way for development of the pipeline. He said energy ministers in the region are meeting in Nairobi in the ongoing EAC Summit to deliberate on the issue. “We are meeting as council of ministers on the sidelines of the EAC Summit to discuss the pipeline. And then on March 6, we will meet in Kigali to receive a report from the technical team,” said Chirchir. The export pipeline route on the Kenyan side is expected to run mostly underground, over 850 kilometres from the Lokichar basin to the coast. Kenya is to construct the pipeline from Lokichar basin while Uganda is expected to construct its part of the pipeline from the Lake Albert rift basin to link up with the Kenyan pipeline and another from South Sudan. The planned production date of late 2016 could coincide with the time when Kenya prepares for 2017 polls, which many will see as a major addition to the campaign chest of the Jubilee administration. Oil will allow Kenya diversify export earnings and act as a catalyst for infrastructural spending, especially on the transport network. The shilling is expected to benefit from inflows of foreign exchange and reduced spending on fuel imports. Kenya imports all its fuel and it relies on exports such as coffee and tea to support the balance of trade in a $50 billion economy, which is the largest in the region. Tullow is facing delays in Uganda, where the government and oil companies are negotiating the terms of production. Oil from landlocked Uganda will eventually be exported through Kenya. Despite the first oil discovery in east Africa nine years ago, none of it has been commercially developed for export, no infrastructure exists to transport the waxy crude from remote drill sites. But now, Tullow says that Kenya and Uganda have agreed to build a pipeline with a total length of 1,300 to 1,400 km linking Uganda to Lamu at the coast then to South Sudan. The British oil company co-owns blocks 10BB, 13T and 10BA with Canadian Africa Oil Corporation. It has since February 2012 struck oil resources estimated at 600 million barrels with a potential in the upwards of a billion barrels. In Uganda, Tullow is eyeing more than 200,000 bopd gross production. Other than the joint planned investment in a pipeline, Kenya and Uganda are moving forward with a unified commercialisation plan for development of the upstream industry that also entails a modular refinery initially sized for 30,000 bopd. On 17 Feb. 2015, Uganda picked a consortium led by Russia’s RT Global Resources to build and operate Uganda’s $2.5 billion crude oil refinery. RT Global Resources, owned by Russian defence conglomerate Rostec, leads a consortium that also includes Russian oil producer Tatneft and VTB Capital, the investment banking unit of Russia’s No. 2 bank VTB. Others partners include South Korea’s GS and Telconet Capital Ltd Partnership. Tullow Oil, French oil major Total and China National Offshore Oil Corporation (CNOOC) are developing Uganda’s fields. Oil discoveries in Uganda and Kenya by Tullow Oil and gas deposits found off Tanzania and Mozambique have turned East Africa into a frontier for hydrocarbon exploration. Investors have billed the region as the world’s most promising frontier for oil and gas exploration.